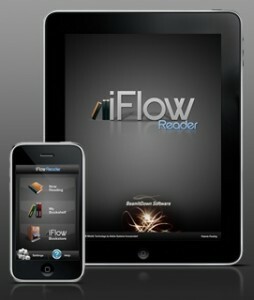 iFlow Reader: "We Put Our Faith In Apple And They Screwed Us"
iFlow Reader is the most popular ebook app for iOS. The app itself is free and BeamItDown Software, the company behind the app, earns its revenue by selling ebooks. Today, iFlow Reader and BeamItDown Software have made an announcement that they are shutting down operations on May 31, 2011. According to the statement released by the iFlow Reader staff, Apple's new policy of 30 percent cut on in-app sales and the agency model are the reasons for shutting down their operation. The agency model was set up by Apple for any publisher who wishes to publish its ebooks through the iBook app. The agency model dictates that the publisher sets the price of the ebooks and the agent (the creator of the app here) gets a 30 percent commission on the sale of each ebook. After the introduction of the agency model, most of the large publishers have adopted that model only. The widespread adoption of the agency model by the publishers means that the sellers (such as iFlow Reader) now get a commission of 30 percent on each sale. A 30 percent commission seems fine - but Apple has also introduced another change in its policy whereby they get a 30 percent cut on every in-app purchase. This effectively means that the ebook sellers on iOS (except Apple's own iBook) looses some revenue on each sale, after taking into account operation costs. Two months later, Apple changed the rules and put us out of business. They now want 30% of the sale price of any books, which they know full well, is all of our profits and more. What sounds like a reasonable demand when packaged by Apple's extraordinary public relations department is essentially an eviction notice to all ebook sellers on iOS. iFlow Reader accuses Apple of not coming out clean when they approached Apple to confirm their business model before making their investment. We put our faith in Apple and they screwed us. This happened even though we went to great lengths to clear our plans with Apple because we did not want to make this substantial investment of time and money blindly. Apple's response to our detailed inquiries was to tell us that our plans did not infringe their rules in any way, which was true at the time, but there is one little catch. Apple can change the rules at any time and they did. Sadly they must have known full well that they were going to do this. Apple's iBooks was already in development when we talked to them and they certainly must have known that their future plans would doom us to failure no matter how good our product was. We never really had a chance. When Apple introduced its 30 percent cut in February, there were widespread concern that it will make it impossible for may small players to survive. The case of iFlow Reader is exactly what everyone had been talking about. To promote its iBooks, Apple has practically made it impossible for any one, but the publishers, to sell ebooks on iOS. iFlow Reader advises its users to download the ebooks they have purchased from their website and use Adobe Digital Editions to read them.